It probably won’t have escaped your notice that the London Mint Office is currently offering a free coin to commemorate the centenary of the third battle of Ypres, or Passchendale as it became known. A very wise man once said that those who do not learn from their history are condemned to repeat it. Therefore, I think it is absolutely right that we should pause to remember this terrible event in the hope that, by doing so, we never let it happen again. Consequently, I think the idea of giving a special Ypres Centenary Coin free of charge as a gift to the nation is a very noble one. In my humble opinion, the coin itself is well worth the £2.50 it costs to post it to your home. To begin with, it is the most cost effective way to own Raphael Maklouf’s stunning new portrait of Her Majesty the Queen created last year for her 90th Birthday. Without wishing any disrespect to the artists who have tried to capture the likeness Her Majesty on coins in recent years, I challenge anyone to grab a magnifying glass and compare this portrait against any of the others and tell me that Maklouf’s is not superior in every detail. The generous crown sized 38.60mm diameter has provided internationally renowned coin artist Matt Bonaccorsi with the opportunity to include plenty of fine detail in his design for the reverse. The result is a poignant depiction of a forlorn angel surveying a silent battlefield in which beautiful poppies are reclaiming the ground from twisted rifles and abandoned helmets. The inscription, from a poem by Ridyard Kipling, is as stark as it is simple; “Lest We Forget”. 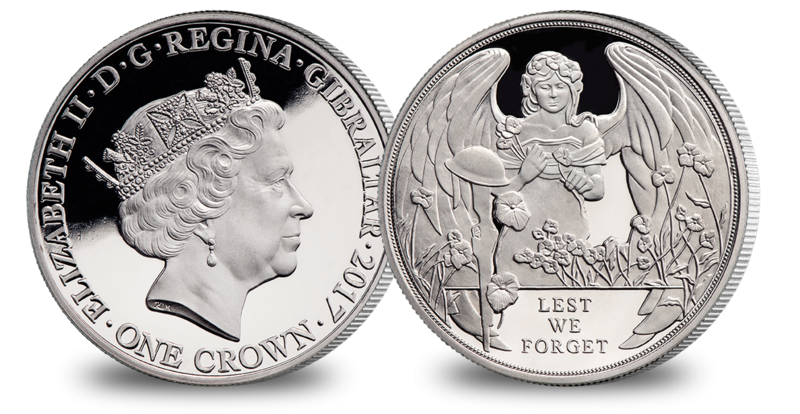 The inclusion of an angel on a coin commemorating Passchendaele is appropriate. Throughout the Great War, allied soldiers reported seeing heavenly armies fighting alongside them in the heat of battle. Whilst many of these accounts were later found to be fabrications, the stories were seized upon and widely circulated by people desperate to make sense of the senselessness of the horror they faced. But there is a real Angel of Passchendaele who has been largely overlooked amidst all the recent publicity and commemorations. And her incredible story is certainly worthy of remembrance. "Nurse Nellie Spindler, the real Angel of Passchendale"
Nellie Spindler was born in Wakefield in 1891 and trained to be a nurse in Leeds. Two years after graduating, she responded to an appeal from the British Army for nurses prepared to go to the front line. In doing so she became one of only a very small group of women to experience the hell of Passchendaele at first hand. Whilst other Casualty Clearing Stations (CCS) were located a safe distance away from the fighting, Nellie’s team specialised in treating abdominal wounds, which required immediate treatment to prevent blood loss, infection and death. Consequently, she was stationed deep within the danger zone at a field hospital at Brandheok on the border between France and Belgium. Located next to a railway and a munitions dump, the area was a frequent target for enemy fire. Nonetheless, Nellie continued to send cheery letters home to her family reassuring them that she was well. As bombs and bullets rained down all around them, Nurse Spindler and her fellow nurses bravely treated an endless stream of allied casualties who were pulled from the mud and rushed to the field hospital for their only chance of survival. Then, on the morning of August 21st 1917, three weeks after the campaign began, the hospital was heavily shelled. Shrapnel flew through the tent and Nellie was struck just above the heart. She died in the arms of a colleague twenty minutes later and was buried with full military honours at Lijssenthoek. She is the only woman among more than ten thousand soldiers and airmen laid to rest at that Belgian war cemetery. 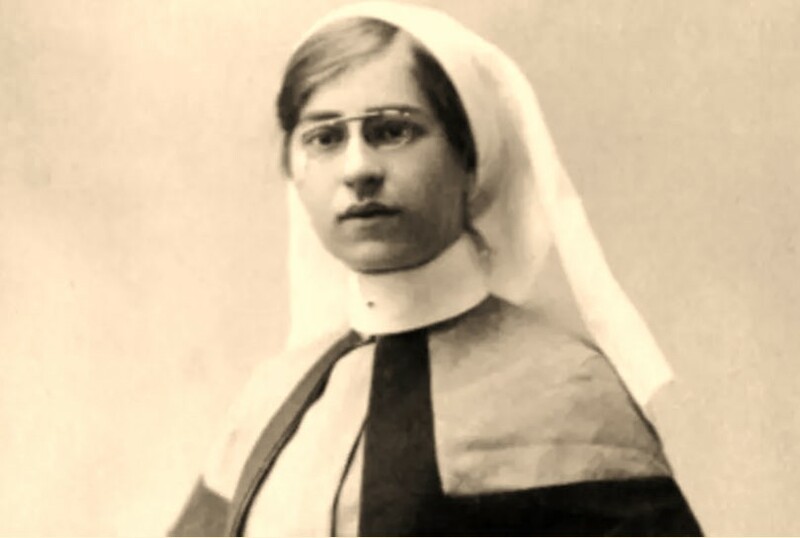 Her obituary published in the British Journal of Nursing noted that, “Miss Spindler was very popular during her training, and her loss is deplored by the many friends she made who deeply sympathise with her family in their sorrow." Two weeks before her tragic death, Nellie Spindler posted her mother a gift; a pendant on a chain. Her mother interpreted it as a sign that her courageous daughter knew that her death was imminent. The pendant depicted a crying angel. Lest we forget. 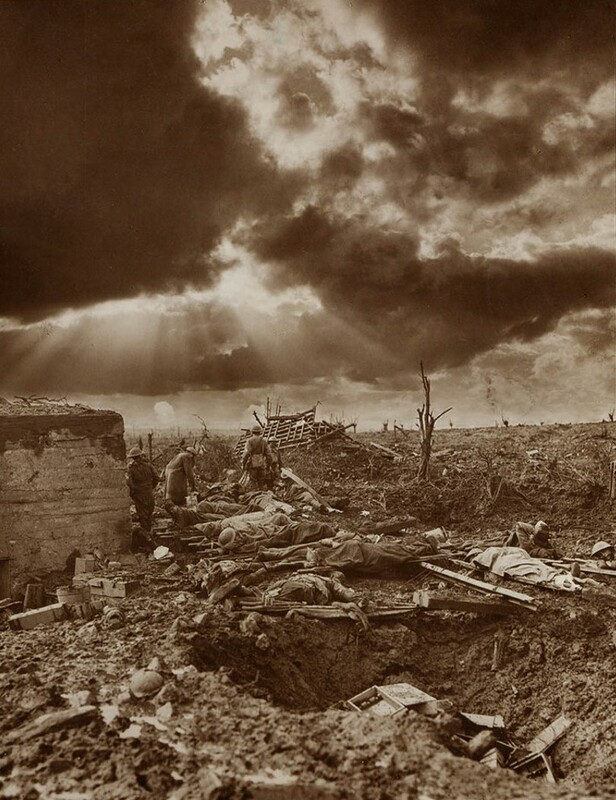 Angel of Passchendaele.